History books, text books and websites around the world still repeat and give life to the idea that the ‘Great Famine’ of 1845 - 1850 was a severe and prolonged food shortage arising purely from the effects of potato blight. This grossly distorts the truth: ‘famine’ implies that the food shortages arose simply from natural causes. In fact, armed British troops seized Ireland’s agricultural produce and exported it to Britain - while the Irish people were dying from starvation. There was no food shortage to blame on potato blight; exports of all food products from Ireland increased during the worst years of the ‘Famine’. Ireland actually produced sufficient food to feed its population twice over. Also, British troops and government officials blocked many attempts at relief from entering Ireland. Today, what took place is increasingly being suspected by millions in Ireland and in the diaspora on reading the deluge of information being published by scholars of high renown. Increasing numbers of people worldwide want what they feel is a deliberate attempt to inflict genocide on the people of Ireland discussed and exposed and if true described as a crime against the people. People are now learning the knowledge that was withheld from them at school and questioning why our education system treats the subject as something not to be spoken of. That is not good enough. We need the truth, we need to know our history and until we know our past we are ignorant of the events of our own country. There was a food shortage in potatoes but people were abandoned by government and the first duty of government is the welfare of it’s people. Britain failed miserably and the question is, did they do it deliberately? The signatories of this petition seem to think so. They feel that sites using this tragedy in our country as a present day ‘tourist attraction’ and persist in using the word famine are wrong and are misleading. 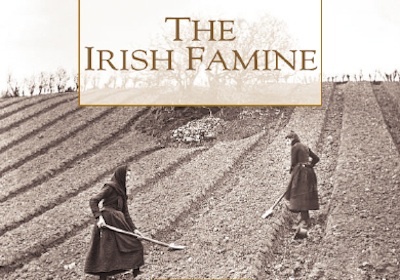 * Persuade relevant authors, editors and website content providers to stop using the word ‘Famine’ for what took place in Ireland between 1845 and 1850, and start using terms such as, “The Great Hunger” or “An Gorta Mor”. * To call on the Government of Ireland and its Ministers, and members of all political parties to correctly call it An Ocras Mor, An Gorta Mor, or The Great Hunger. Our aims are dedicated to correcting and spreading the truth about what should rightfully be called not the ‘Great Famine’ but the Great Hunger (An Gorta Mor). Government Ministers and politicians could then speak out, with courage, about what took place between 1840 and 1845, and no longer dodge the issue in deference to the sensitivities of, “Other Governments”. Every name added to this petition will make even stronger the case for using terms such as the Great Hunger - terms which admit, instead of denying, the truth of what took place. Only when the word ‘Famine’ has been abandoned will future generations describe what took place for what it truly was, failure of government and continued questioning as to the real motive for the neglect of millions. Was it genocide? many think it was. If so, stop describing it as famine. Add your signature - help the truth be known by everyone.